Hello guys. It's been four years since I entered the world of Wapmaster and Blogging. And now here I am today to share you my first publication template, it is for Xtgem site and I am named it "WBWXTB". As we know, Xtgem the free mobile site builder service has many interesting modules and one of them is Blog module or dubbed "xtblog". Xtblog has a template customization feature using TWIG templating. 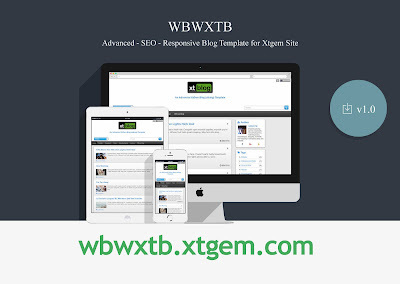 WBWXTB is a template project to bringing and Advanced Xtgem blog template. There are custom features I have added to the Blog function like related posts, tags with post count, auto generated meta description and meta open graph (og), etc. While WBWXTB has many features added to your xtblog, I decided to keep the Xtgem's original CSS classes so it will not conflict with Xtgem features such as navigation block and Xtgem's templates preset. Xtgem's Original HTML and CSS structure, compatible with Xtgem's preset templates and features. Xtblog TWIG template file splitted into 13 parts based on each block names (Easier to customize). Admin bar, full info read XtQAdminBar - A Quick admin bar for your xtgem blog. Theme selector with Xtgem's preset templates CSS. •et; Auto generated meta description on each posts. •et; Noindex on tag and search page to avoid duplicated contents. •et; Schema.org valid structured data | Check. Auto post count on sidebar tags. Sitemap generator page. One click step to generate .gz compressed sitemap file of your blog posts. Access it on "/admin" page. Comments using Facebook comment plugin or Discuss. Added loading animation while waiting scripts fully finished work. Because the URL (removing the "__xtblog_block_id" parameter) hack to generate automatic meta tags and for have a prettier URLs, we can only use one Blog function in one page. Adding more than one Blog function in one page at your Xtgem site will give unexpected results. 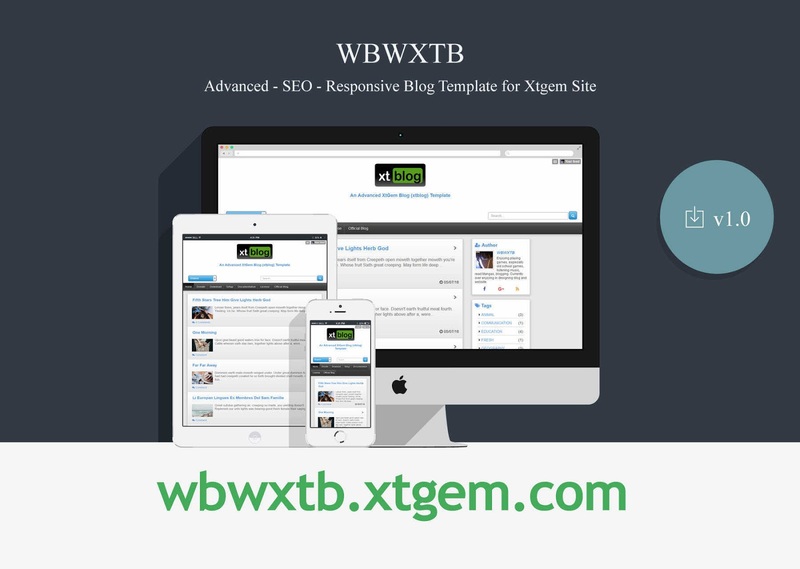 The instruction to setup WBWBXTB template on your Xtgem site is included inside the file. Well, it's easy all you need to do just extract the zip, and upload the files inside "UPLOAD" folder to your Xtgem site. WBWXTB by Daryadi Sarumpaet is licensed under a Creative Commons Attribution-NonCommercial-ShareAlike 4.0 International License. Based on a work at http://syntax.xtgem.com/manual/xtgem/default?func=xt_blog&__xt_content_page=07. Permissions beyond the scope of this license may be available at http://weblogwap.blogspot.com. Comments (7) in "WBWXTB [v. 1.5] - Advanced Blog Template for Xtgem Sites"
hi, please why is xtgem blog comment box showing under maintenance? Is there any video tutorial for it? No sorry. The UPLOAD folder is relative as your site root directory. You can imagine the whole content in the UPLOAD folder as the root of your site.